When you’re ready to head out, pick a place to go with CultureGrams. You can find all kinds of information on countries all over the world. Choose a destination that’s perfect for you. Learn how to speak the language with Mango Languages. With over 70 language courses available in a fun, easy framework, you’ll be able to say hello to new friends on every continent. These resources, and more, are free with your library card! Let us know where you want to go next! Have you ever wanted to learn a language, but been frustrated by the lack of classes in your area (or your own lack of funds)? Learn for free anywhere the internet is with Mango Languages and your public library! All you have to do is set up a free account with your library card and email address. The account lets you track your progress and move forward with lessons in your chosen language – or try several! With 72 language options (only a few of which are silly – see “Pirate,” above), there will soon be no one with whom you can’t hold a polite conversation about the location of the bathrooms. Is there an app? Of course there is! You can find the Mango Languages app on both the Apple and Google Play Stores for free learning on the go. Try it today! For most of January, we’ve been focusing on things you can learn to make your life better. What’s better than new friends from other cultures? Learn a new language and start making friends everywhere you go! 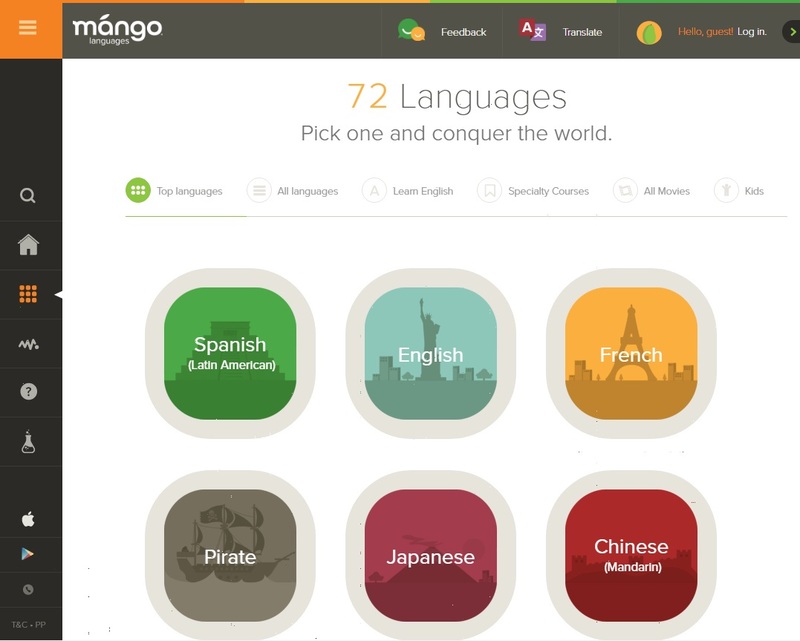 Mango – Learn enough of any of seventy-one languages from ASL to Yiddish to travel the world! Take part in online guided conversations to learn how to communicate about different aspects of several cultures. Pronunciator – With eighty language options and more formalized instruction, this is probably the best way to completely learn a new language. Pronunciator and Mango both have apps, so you can take them with you wherever you go! Muzzy – Eight languages geared towards kids. Learning a language in childhood may make it easier to learn more languages as an adult, because science, so get your kid started today! This site also has games, so if you need a break from vocab drills, this is a great place to get it. Signing Savvy – This site is intended to supplement an in-person course, like the classes offered by the Louisiana School for the Deaf. The gifs and short videos are a great way to expand your vocabulary once you’ve gotten a grounding in the basics. There are a few Gale Courses, too! You can even check out the library’s Community Information Database to find groups that offer free classes or opportunities to practice with native speakers. Which new language would you like to learn this year? Posted on January 11, 2016 January 7, 2016 Categories EBRPL Online Resource, EBRPL TravelLeave a comment on Learn a New Language! Hungry for Paris: The Ultimate Guide to the City’s 109 Best Restaurants by Alexander Lobrano. Reviewed by Louise Hilton. Food writer Lobrano takes the reader on a gourmet tour of Paris in this updated edition of his 2008 guide. Detailing his 109 favorite restaurants, grouped geographically, the chapters are interspersed with short essays on life in the City of Light. The helpful appendices include restaurant listings by type, price range, and places open on weekends (many Parisian restaurants are closed then). Lobrano covers only restaurants where you would be certain to have both a delicious meal and a warm welcome (no surly Parisian waiters here). He focuses on French food but includes a variety of cuisines and food trends such as locavore dining and gastrofusion. Unlike many restaurant guides, this one reads like a memoir, as he tells the story behind each restaurant, recounts his best meal at each, and gives menu recommendations. Lobrano is a true gourmand, his passion for great food coming across in sensual prose. Although I couldn’t quite shake the feeling he is a bit smug, I still say if you’re lucky enough to visit Paris, check out his book for an interesting and honest take on the restaurant scene. And if you’re simply armchair traveling, read it for the mouthwatering descriptions of dreamy food (and dreamy Paris). *This review was first published in The Advocate (Baton Rouge, La.) on Sunday, April 12, 2015. We’re pleased to highlight a new addition to our Digital Library: PressDisplay, an online newspaper database that offers instant access to over 3,000 newspapers and magazines from over 100 countries in 60 languages! There’s no special software required or downloading involved. Simply search for a publication by title, country, or language, and you can skip right to your favorite section (Front Page, Entertainment, Sports, you name it). You can then read the articles in full color on your computer or even download, print, or email them as desired. PressDisplay is available from any computer with your library card, so click here and start exploring news from around the world today. Want to start the new year off right by learning something new? We’ve got you covered! A great recent addition to our Digital Library is Pronunciator, a language learning database, featuring 80 language courses, along with English as a Second Language courses and tools. You can access it with your library card from any computer or download the mobile app for iOS or Android and use it on the go! Pronunciator has a wide variety of language learning exercises including quizzes, music, radio, and movies. You can take self-paced courses or sign up for structured 8-week courses. Check it out on our Digital Library page today! 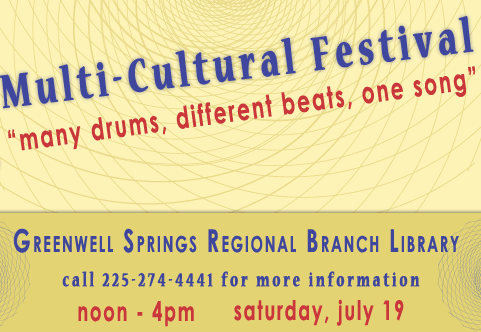 The Greenwell Springs Road Regional Branch will host its Fourth Annual Multi-Cultural Festival tomorrow, Saturday, July 19, from noon to 4 p.m. This year’s theme is “Many Drums, Different Beats, One Song”. Everyone is invited to join us at the Library for an afternoon of dancing and demonstrations from the Baton Rouge Belly Dancers, Lion Dancers, North Baton Rouge Dance Project, and the Yang Guang (Sunshine) Chinese Dance Troupe. We’ll also have bagpipe music from the Baton Rouge Caledonian Society. Come and enjoy free food, fun, and festivities! Vive la France! Check out these French history reads just in time for Bastille Day and join us for our French Book Club this Thursday (July 17) at 7 p.m. at the Main Library. We’ll be discussing the coming-of-age classic Bonjour tristesse by Françoise Sagan. À bientôt! For all things hiking, and to find the best nature walks and hikes in the beautiful Baton Rouge area, take a look at Dominic’s InfoGuide. You’ll find maps, tips, resources and books about exploring nature! 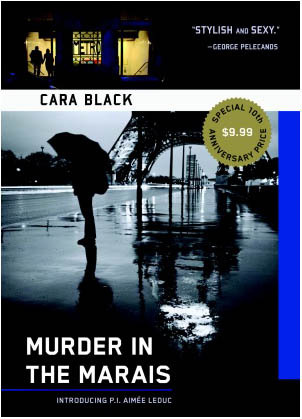 Cara Black is an American author best known for her bestselling Aimée Leduc mystery series set in Paris in the mid-1990s. 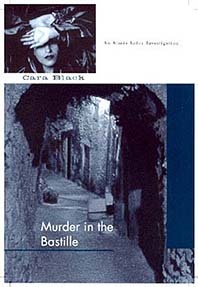 Black lived in Paris for many years and her intimate knowledge of the city comes across in her writing. There are currently 13 novels in the series and each one is set in a different quartier in the French capital. Black deftly weaves in tidbits about each neighborhood’s unique flavor and history into each mystery, which enhance the appeal of the series. 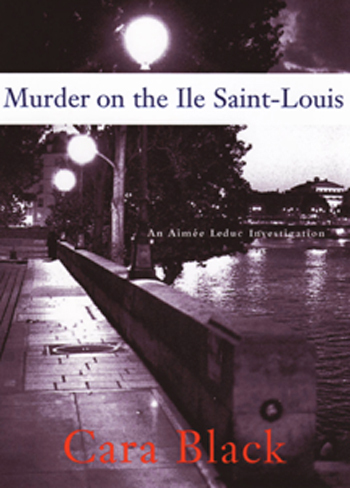 The heroine is Aimée Leduc, a half-American, half-French private investigator, a quirky, smart, fiercely independent 30something with a penchant for “bad boys” and vintage Chanel. Her best friend and partner at Leduc Detectives is René, a dwarf, computer hacker, and martial arts expert. A host of other eccentric characters round out the cast in this intriguing series that is definitely worth a read. Check out the author’s official website for more details on each title. Bastille Day’s tomorrow so curl up with one of Black’s novels and a café crème – or glass of vin rouge – and be swept away to the City of Lights!